Another quick, in-between days post for you lovely readers! I was lucky enough to receive this polish as part of one of my Secret Santa gift exchanges today! Considering this was hiiigh up on my wish list, you can only imagine my excitement when I unwrapped this baby. 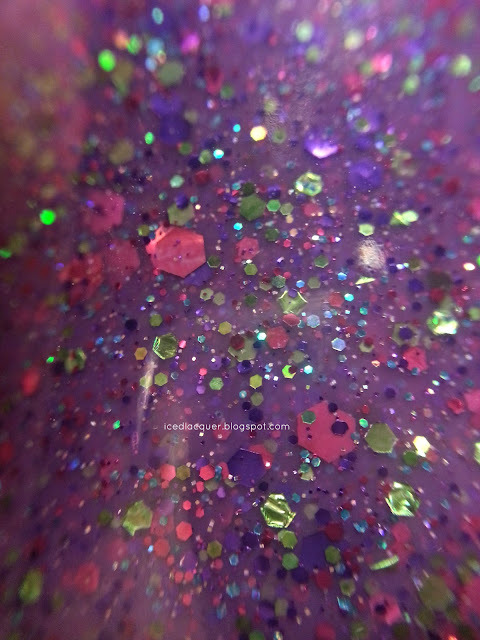 KBShimmer "Sugar Plum Faerie" is a medium purple jelly filled with large magenta hexes, and then a mix of small and medium magenta, lime green, and purple hexes. 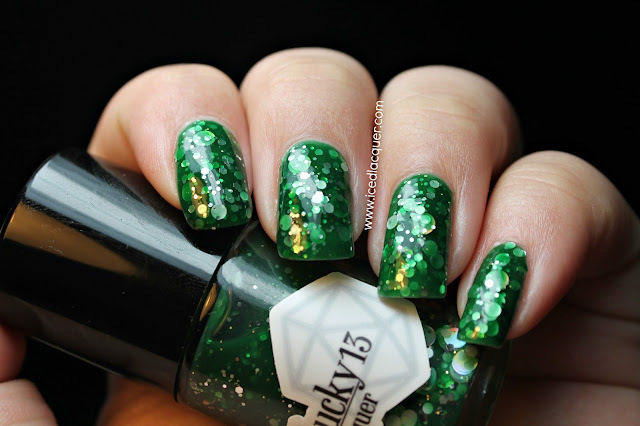 I'm also pretty sure the green hexes are holographic. 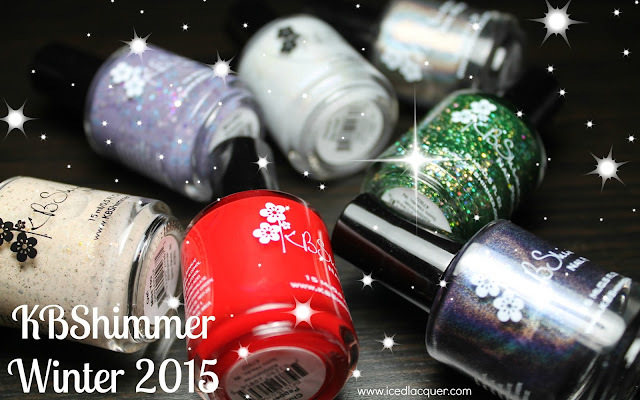 So much amazing in one polish! 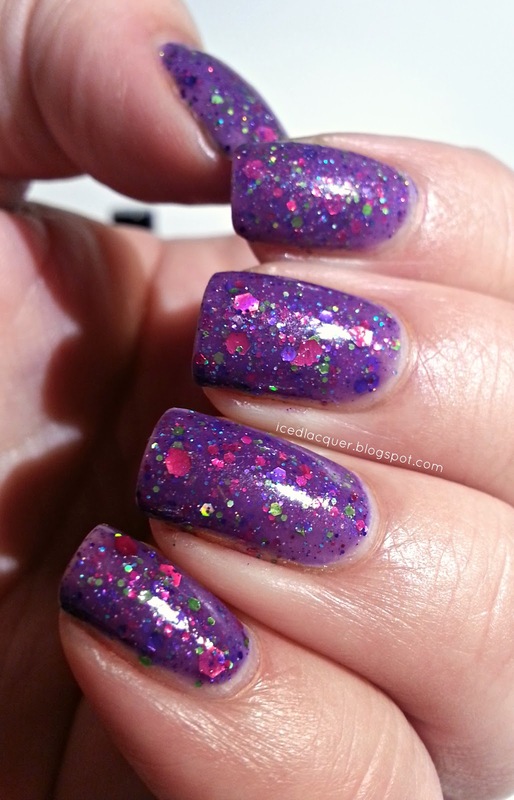 I used one quick (thin) coat of Essence "Oh My Glitter!" as a base, mostly because I was worried about the tips being a little thin. As I could have guessed, it built up nicely and was opaque at two coats! I finished it with one coat of Seche Vite. Mmm. 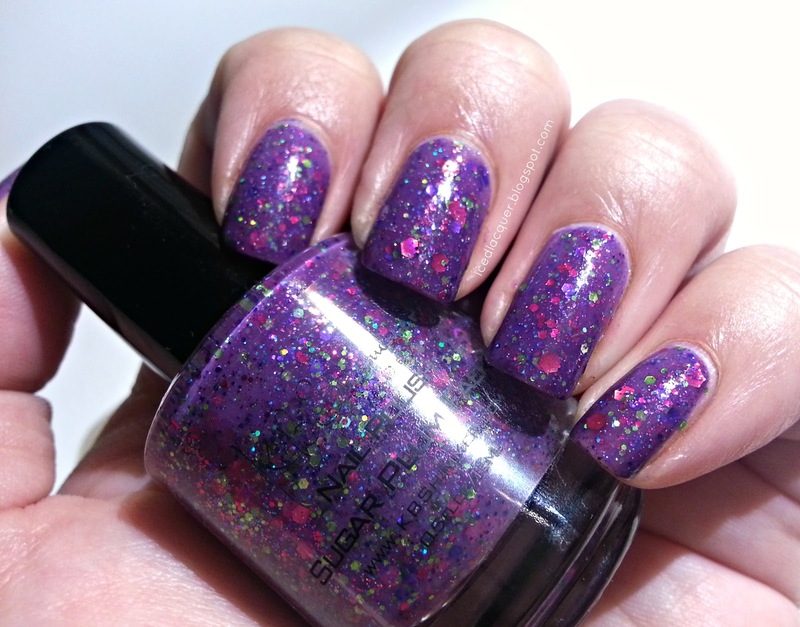 This is seriously everything I love about a polish. 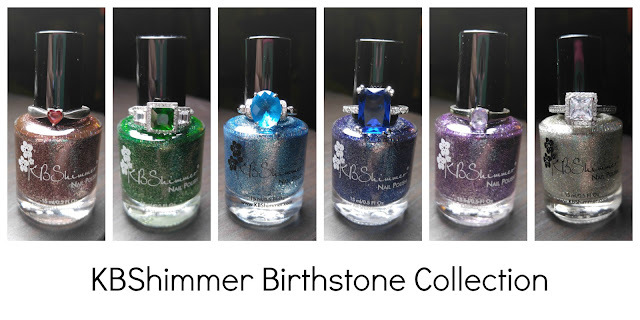 A colored jelly base, a variety of sizes and colors of glitter, and an interesting mix of colors too! 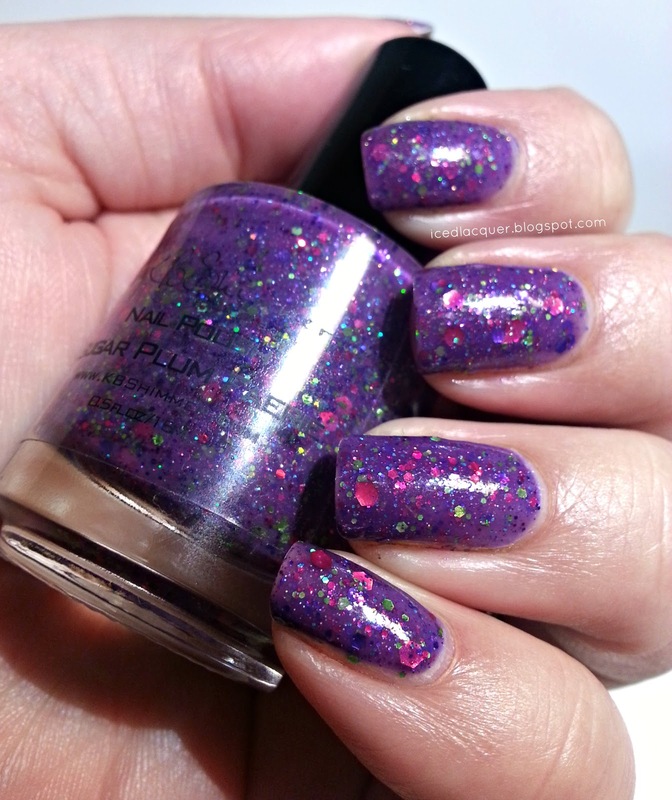 I love that her polishes apply so easily and there is almost never any dabbing needed or glitter placement issues. Oh goodness. I love this!